EVERY CLIENT WE GET FROM YOUR REFFERAL WILL MAKE YOU MONEY. 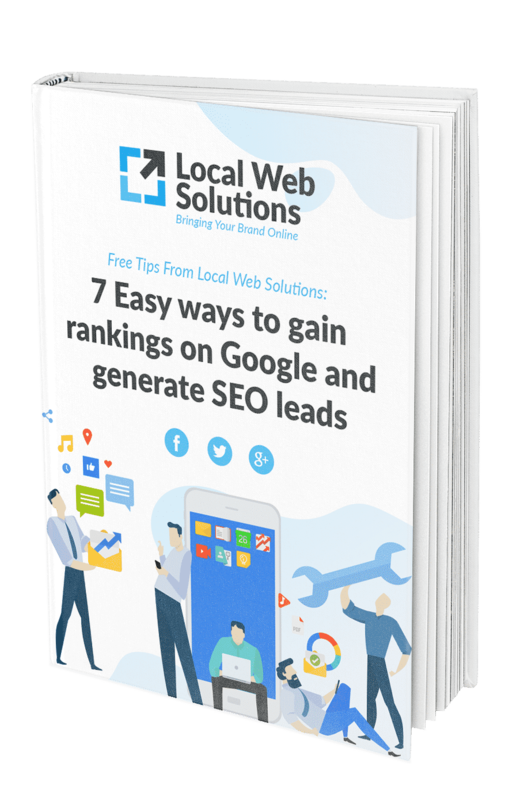 Local Web Solutions offers a unique and generous program that will see you getting paid for referrals that we land as a client. The best part is, you don't need to know anything about SEO, matter of fact you don't have to sell anything at all! Just get us in contact with a lead and we will do the rest. Our SEO referral fees are completely unique and no one will offer you our percentage of commission on any type of lead - Our referral program pays 50% of the first monthly fee directly into your pocket. Any clients you get us after your initial referral will also see an added cash bonus per lead. Who will benefit from SEO? Where can I find Referrals? Below is a form that you can fill out and submit to us. This is the only thing you will need to do, we will take care of the rest. From here we will make contact with the potential client, submit a proposal and convert the sale. Once a sale has been made, it is usually 2-4 weeks before they payment cycle starts. Once it does, you get paid! Please note: During the proposal process, we will mention your name so the potential client knows how and why we are contacting them. Depending on multiple factors, the entire sales process can take anywhere from 1-8 weeks. We will keep you up-to-date during the entire process.